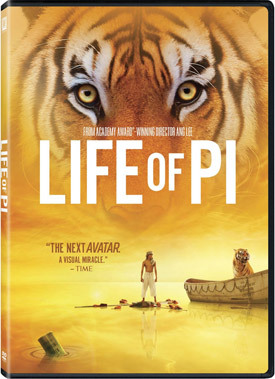 Ang Lee’s Life of Pi DVD and Blu-ray Details. Suraj Sharma, Irffan Khan and Rafe Spall star in Ang Lee’s 3D adventure, based on the best-selling novel by Yann Martel. 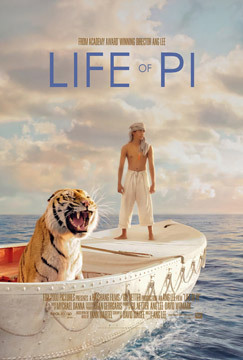 Twentieth Century Fox Home Entertainment will release Life of Pi on DVD, 2-Disc Blu-ray and 3-Disc Blu-ray 3D on March 12. See the special features, movie trailers and photos below. 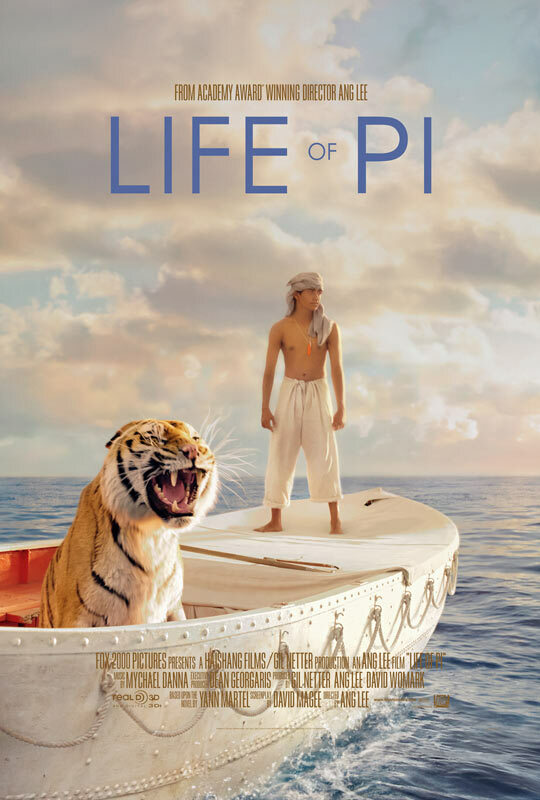 A young man (Sharma) who survives a tragic disaster at sea is hurtled into an epic journey of adventure and discovery. 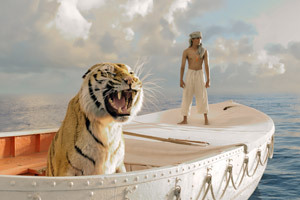 While marooned on a lifeboat, he forms an amazing and unexpected connection with the ship’s only other survivor — a fearsome Bengal tiger.